Congestion, sinus pain, headache, fever, fatigue, tender sinus cavities, and even sore teeth. As with all illness the first thing you want to do is cut out meats, dairy and sugar until you are feeling better once again. These items make your digestive system work hard or produce more mucous and we don't want either of those while sick. I also suggest an immune boosting essential oil blend* applied on the feet morning and night, as well as diffused throughout the home through the duration of the illness to aid and support the immune system. The most effective treatment for a sinus infection is a steam inhalation. This helps loosen the mucus, soothe dry membranes and drain the sinus cavities. There are several decongestant herbs you can use but from experience, peppermint is the most effective. You could also use any of the herbs listed below. Another option is to use essential oils in place of the herb, choose from one of the oils below. 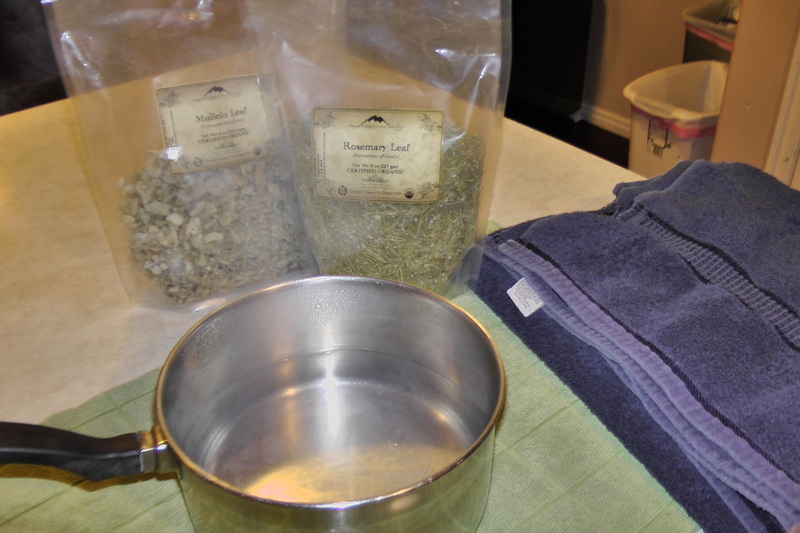 Because I don't like to waste any of my precious herbs, after the steam inhalation you can strain the herbs out and soak a cloth in the "tea", wring out and place over the sinus cavities as a compress. The hot cloth will increase the blood flow to the face, decreasing discomfort. You could also use the actual herb that has been strained and make a poultice with it, I would suggest wrapping it burrito style in cheese cloth or a thin cotton cloth and apply. I tried this with peppermint and it brought immediate relief. I then take the "tea" and pour it into bath water and have a hot steamy bath to continue the steam breathing treatment. HERBAL BATH - Using the herbs listed below. I like to do ginger baths and the heal all herb blend. DRINK WARM HERBAL TEAS - Drinking any type of hot drink will help open and drain the sinus but when you use decongesting and immune boosting herbs you are also helping to kill the virus and heal the problem. A few favorites are: peppermint tea, Heal All herb mix (this not only opens the sinus cavities but will break a fever, if present, and help kill the virus), immune booster tea, ginger lemonade, or any of my herbal honey blends. Besides hot drinks, keep yourself hydrated with lots of fluids, soups and broths are real good for healing. TAKE ANTIBIOTIC HERBS - See that you get four cloves (equivalent to a dose of antibiotics) of garlic a day. These need to be raw, I like to take mine by making a batch of pasta and mince four cloves of pickled garlic into it with some olive oil and veggies. Oregon Grape Root is also a great antibiotic herb that you could make or purchase as a tincture, take 15-30 drops, three times a day. These are herbs that help dissolve and expel mucus, along with immune boosting herbs to kills viruses and aid the body in healing. Astragalus - good herb for chronic sinus infections as it strengthens and builds the immune system. Pepper - use this a lot in your dishes, pepper drains chronic sinus and dissolves mucus. These essential oils encourage proper nasal function. They can be diffused throughout the home, placed in a humidifier, or applied to sinus cavities with a carrier oil. 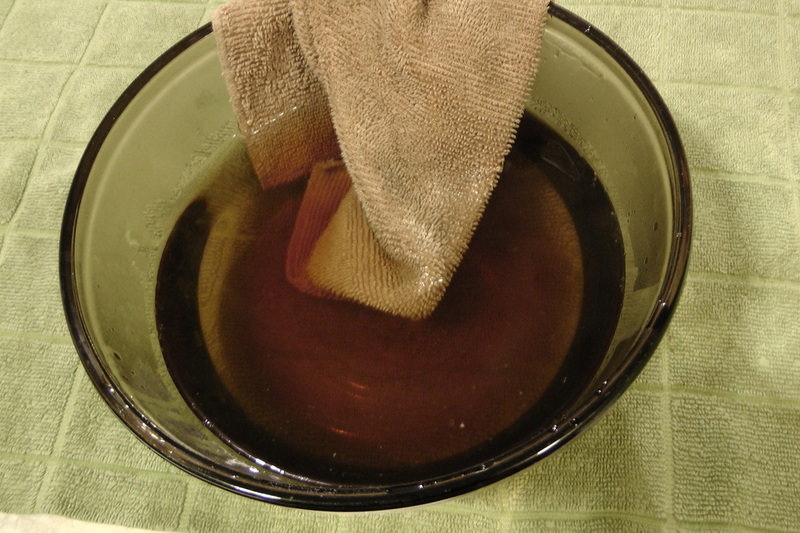 You can also add to the bath water, shower floor, and as a facial steam by placing a few drops of oil in a bowl or pan of hot water and inhaling with a towel over the head.